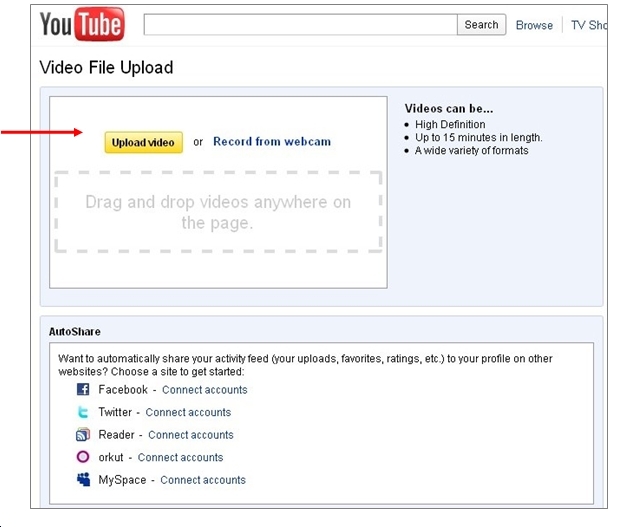 If you have always wanted to know how to share your videos with friends and family or even with the rest of the world, then this can be easily achieved by setting up a Youtube account. It can sometimes be a little daunting for some people to try and figure out how to use new technology so this guide will take you through the process. 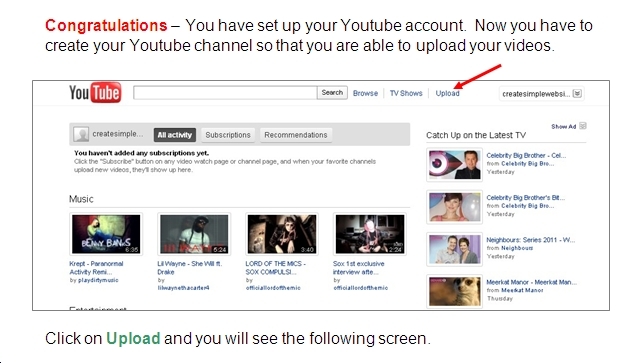 If you follow each of the steps you will have your very own Youtube account set up and ready for use. 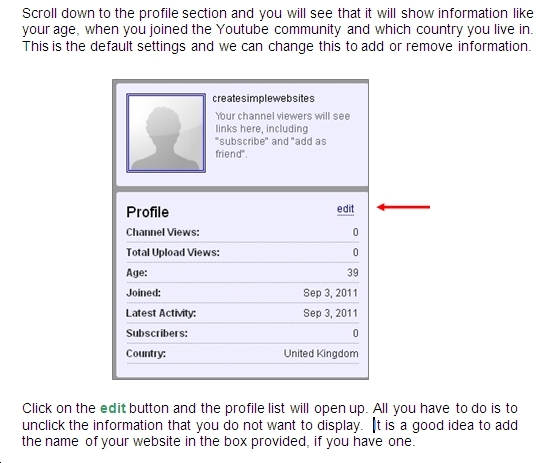 If you find that you still need a bit more detailed information that is set out on this page, don't worry. 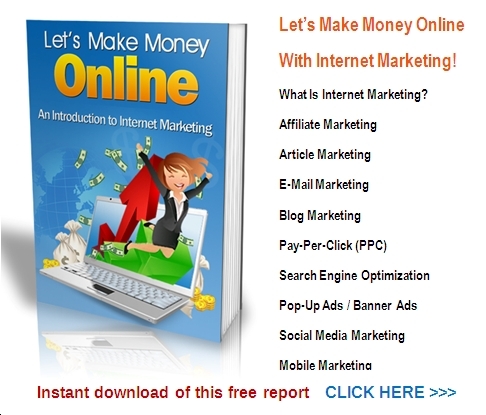 I'm in the process of publishing an illustrated guide in my Internet Marketing how to books set that you will find links to here when they are completed. But give the instructions here a try, I think that you will find it pretty straightforward. 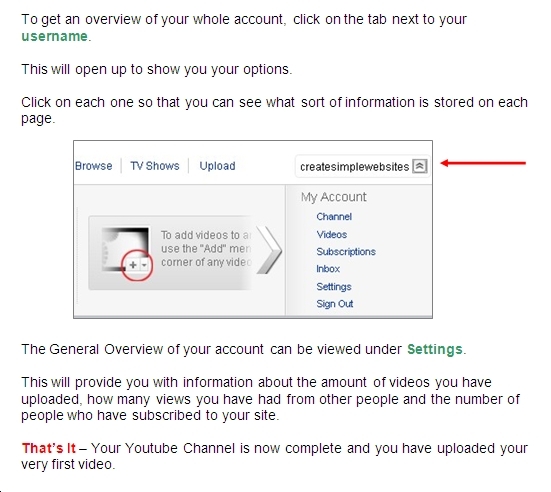 And the steps are very similar in setting up accounts and video channels for all the free video uploading platforms, so once you set it up here, you can set your channel up on any of the services. I also feature some training videos below that you can check out to see if that kind of 'live' training showing you step by step is more your style. 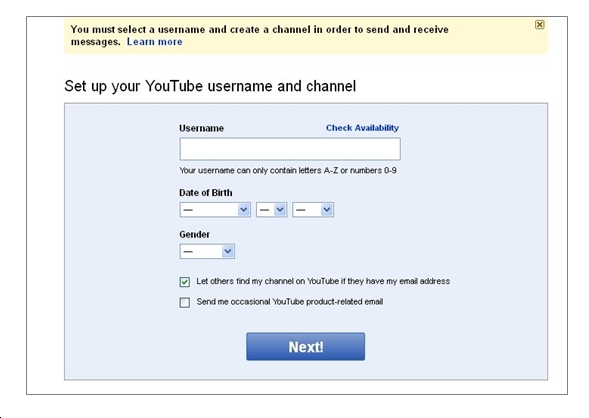 You need to choose a username for your YouTube Channel. You will want to choose wisely as you can not change it. You can pick your name or a nickname. 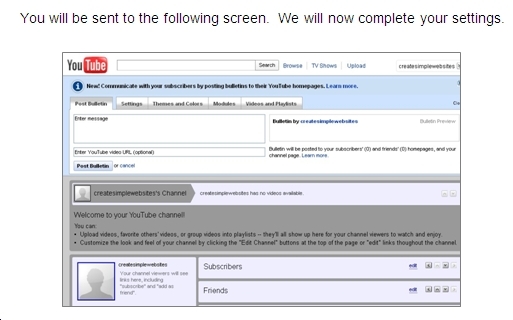 If you have a website, then it is a good idea to use this as your Youtube channel. Make sure the name doesn’t have any spaces or that it is too long (max 20 characters). You will be presented with this screen. 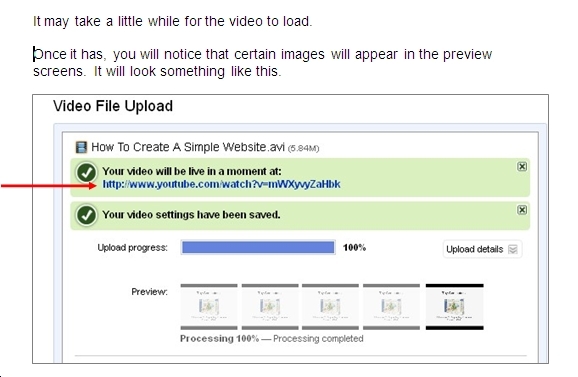 Click on the Upload Video button. Select your chosen video from your computer. 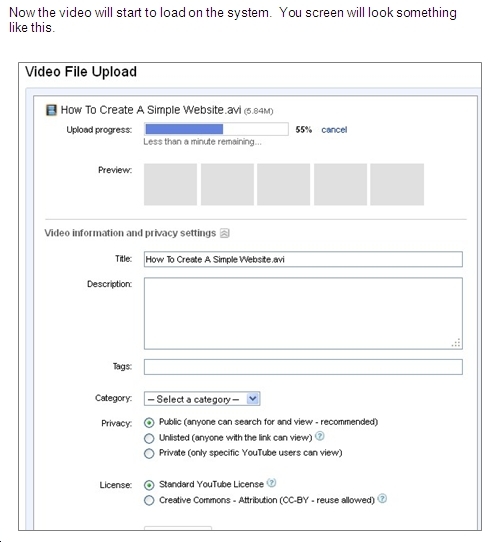 While you are waiting for the video to upload, you can fill in the information boxes by providing a brief description, add a few keywords that will help people to find your video and then select the category that you think your video belongs in. 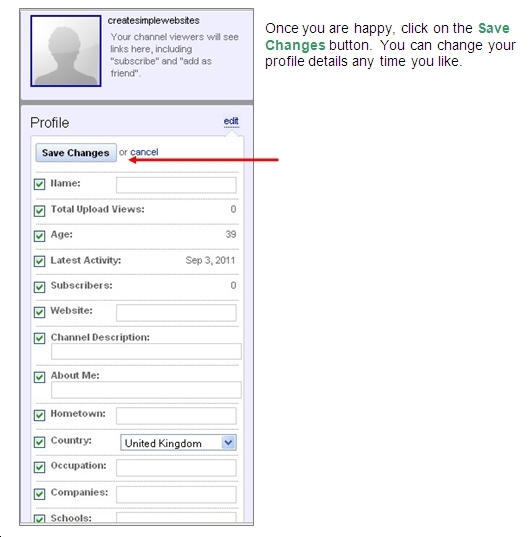 Once you have completed this form click the Save Changes button at the bottom to save the information. 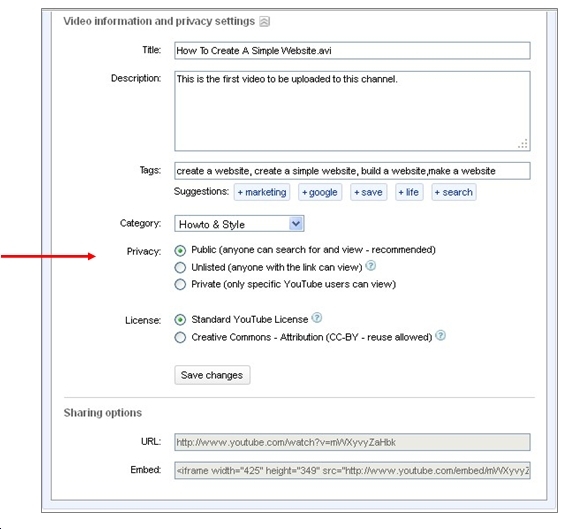 Under the Privacy section you have the option of deciding who you would like to see your video. If it is just for friends and family then choose the Unlisted or Private option. 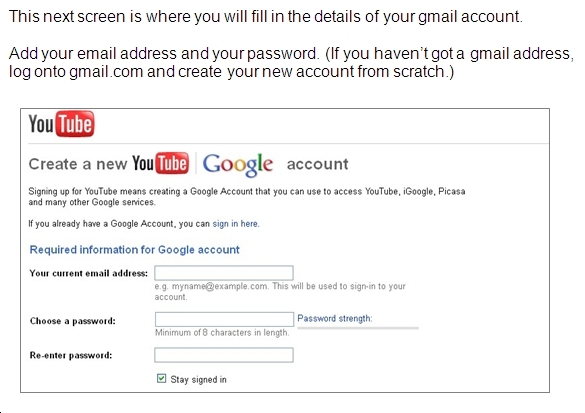 You can then email them the link so that they can view your videos. 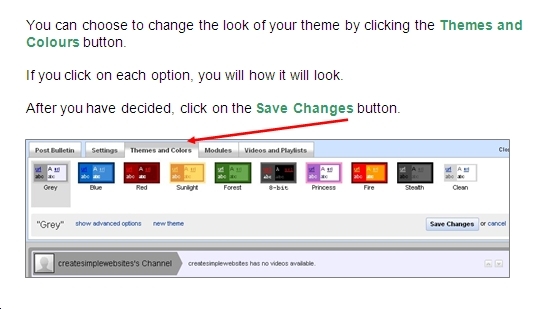 Make your choice and click Save Changes. A lot of times, being afraid of setting up a video channel and uploading your own videos to show the world is simply the result of a lack of knowledge or understanding. There is a lot of marketing power (and fun) that comes from learning about various topics like using video as part of your social networking . You’ll be surprised about how much a little research can help you with learning how to set up your YouTube channel and really master this form of marketing. This step by step guide should help you on your way to creating a fantastic Youtube video channel where you can connect with your friends, family and the rest of the Youtube community. Take your time to find out more about the great things that you can do with this channel, but most importantly, have lots of fun. 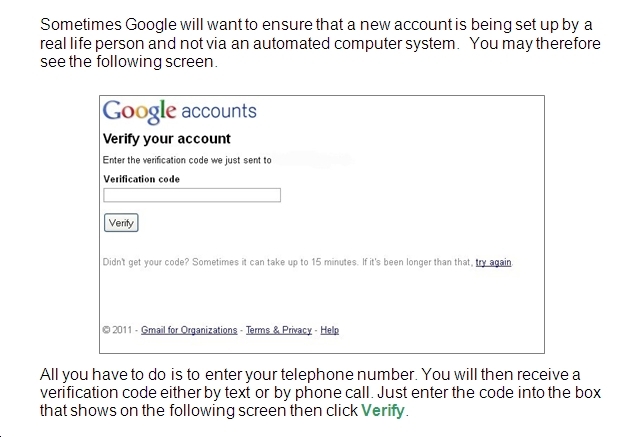 You can also see how this works in action in this set of training videos that show various web2 social networking platforms being set up and managed. 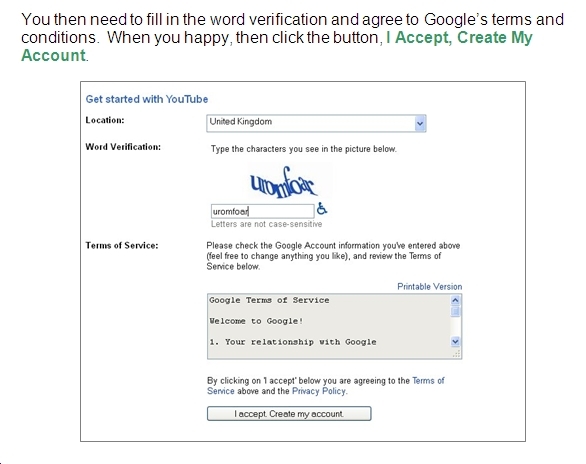 The how to set up YouTube video is #5 in this series. Below here I'm featuring more pages with helpful how-to-do-it tips on how to set up YouTube channel and use it for fun or for profitable business marketing. 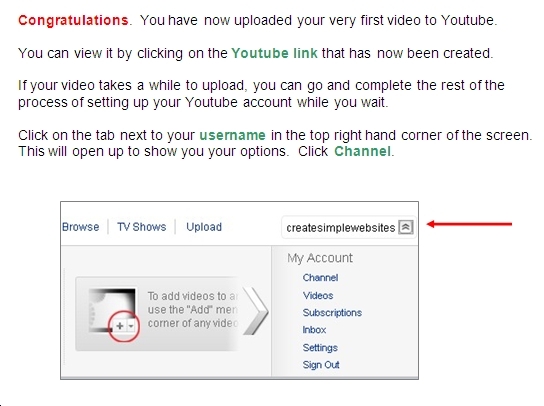 Back to HOME PAGE of this How to set up YouTube channel section of the site.